Lesson 163 Did you find a place to stay? Did you find a place to stay? Yota: Oh, Miki. Did you find a place to stay? Sho: She will be staying at Mr. Aoki’s house. Yota: Whoa, the new senior marathon champion? Why? Miki: Mr. Aoki and my father worked at the same company 20 yeas ago. When my father told Mr. Aoki I was looking for a place in Tokyo, he said that I could stay at his place. Yota: I bet his house has a tennis court. Miki: He lives in a traditional Japanese house. 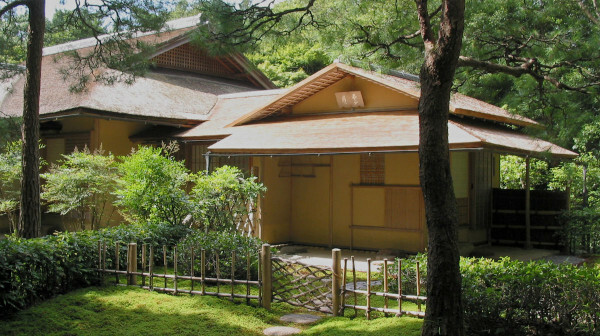 There is no tennis court, but there’s a garden with a tea house. Sho: What do you think about Mr. Aoki? Miki: I think he’s loud on the outside, but thoughtful on the inside. He wins by working hard and preparing carefully. Oh, Miki. Did you find a place to stay? She will be staying at Mr. Aoki’s house. Whoa, the new senior marathon champion? Why? I bet his house has a tennis court. He lives in a traditional Japanese house. There is no tennis court, but there’s a garden with a tea house. I think he’s loud on the outside, but thoughtful on the inside. He wins by working hard and preparing carefully. How do Miki’s father and Mr. Aoki know each other? They worked at the same company 20 years ago. I think it’s just like her. What did you think about Tokyo? It was so exciting, but safe. -基礎英語３, Lesson 163, Did you find a place to stay?